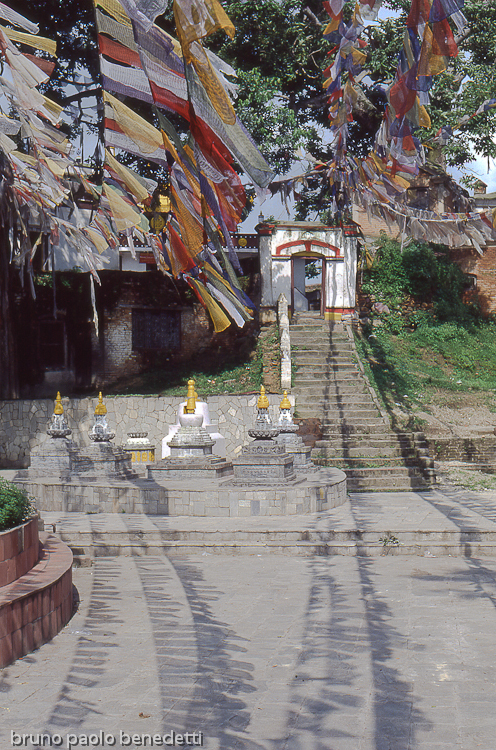 buddhism in Nepal: parayer flags in Kathmandu Swayambhunath temple. Glimpse in a temple courtyard. Picture with wide depth of field. In the middleground waving small flags in the wind, whose shadow is on the ground, forward sharp focus on painted door.